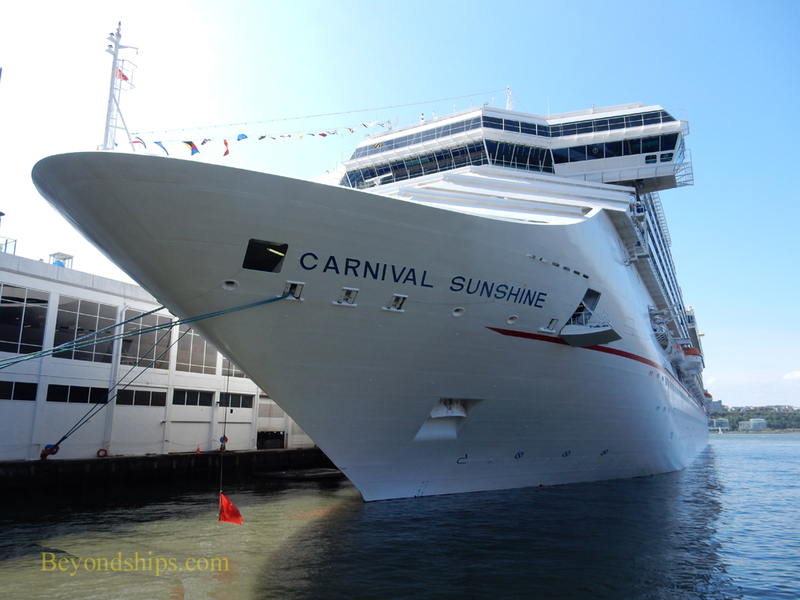 In 2016, Carnival Sunshine took up residence in New York City for the first time since her transformation from Carnival Destiny into a cutting-edge Carnival ship. 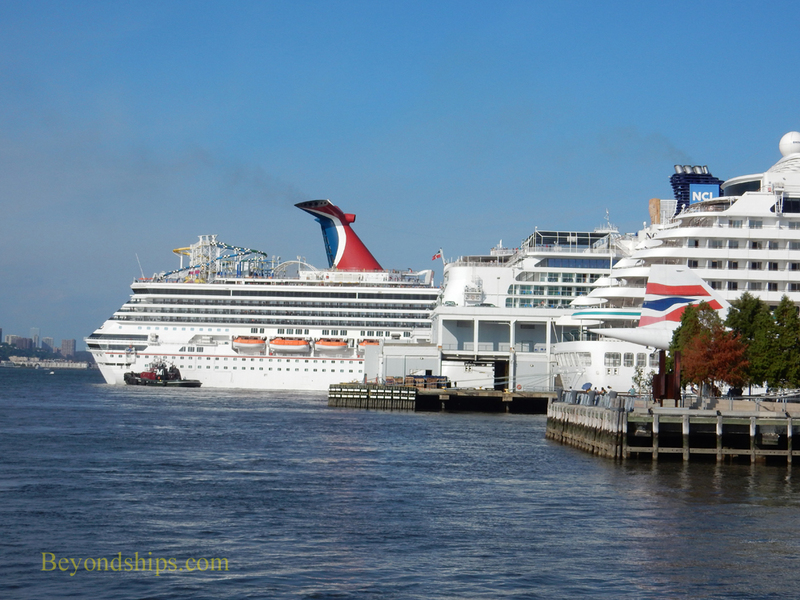 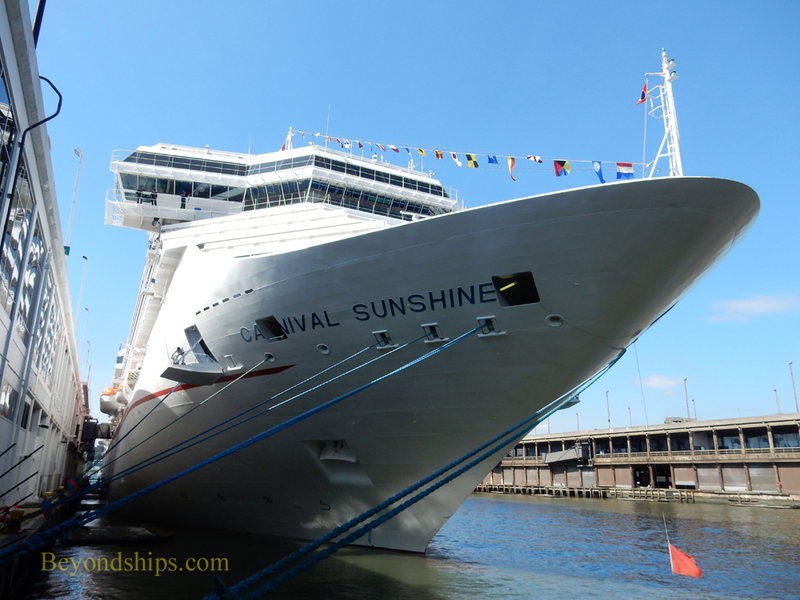 A regular sight in the harbor, in this photo compilation, we follow Carnival Sunshine preparing to leave on a typical summer cruise (this page) and then underway as she exits the harbor (page two). 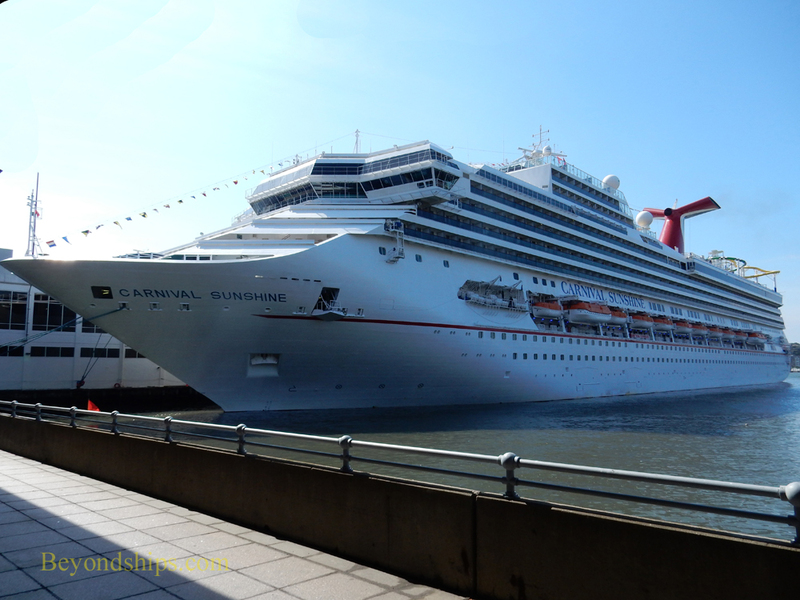 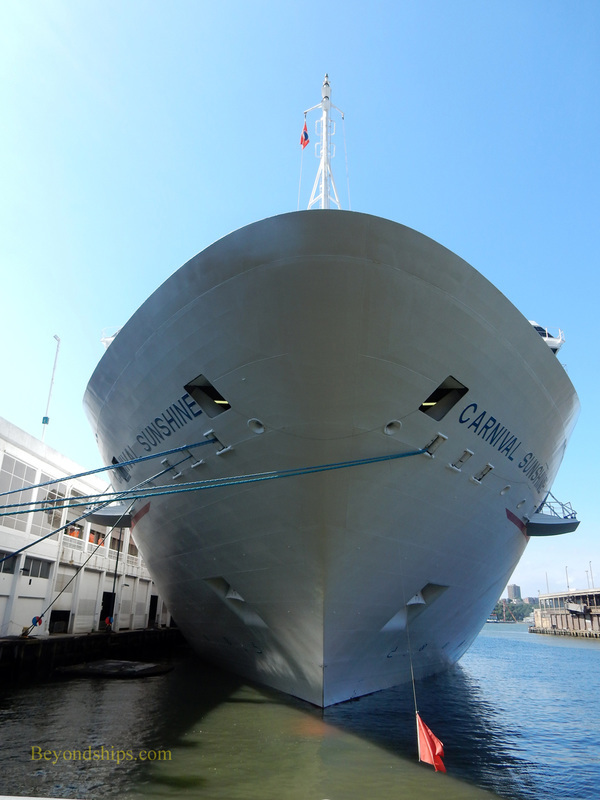 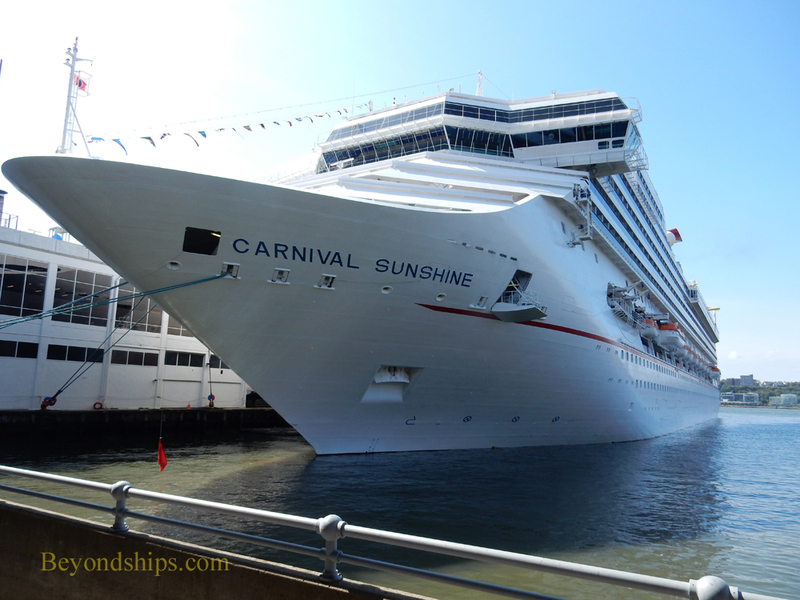 Carnival Sunshine's New York address ist the Manhattan Cruise Terminal, Pier 90 to be exact. 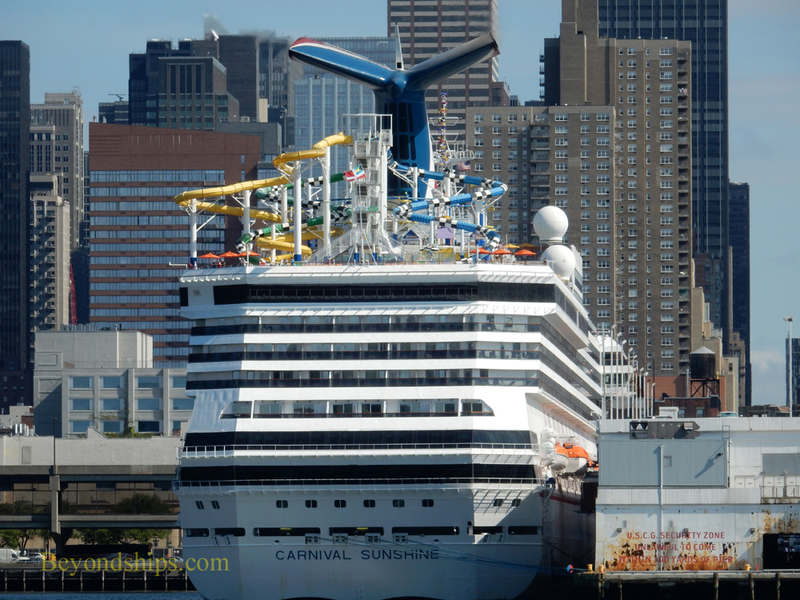 Typically, Carnival Sunshine shares the multi-berth cruise terminal with other cruise ships, such as Norwegian Gem (center) and Crystal Serenity (right). 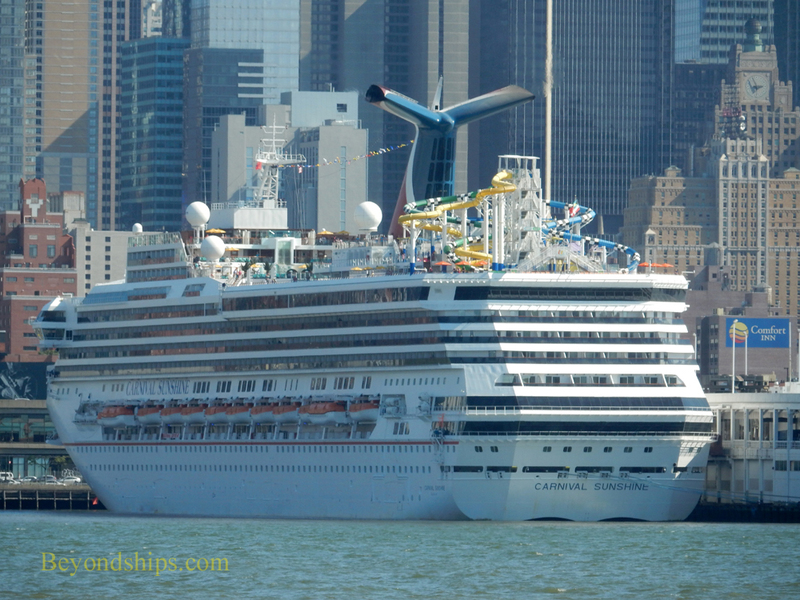 Late in the afternoon, Carnival Sunshine backs out into the Hudson River (aka the North River) to begin her cruise.